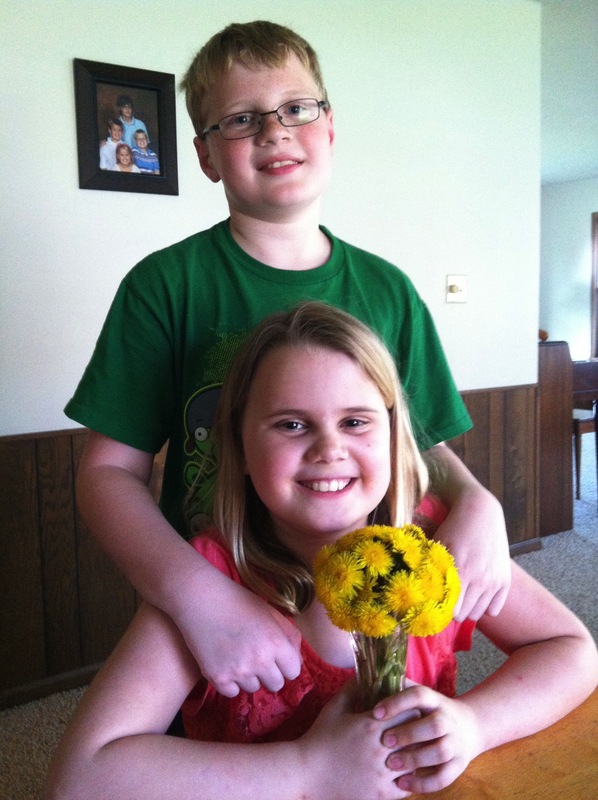 “Those are weeds!” Drew said to Emma as she came running in the house with her hands full of dandelions. “So you don’t think they are weeds?” Emma asked. “Well, they can be weeds and people don’t like them all over their lawns, but when you pick them with love they are flowers to me!” I explained as I gave them both a hug.